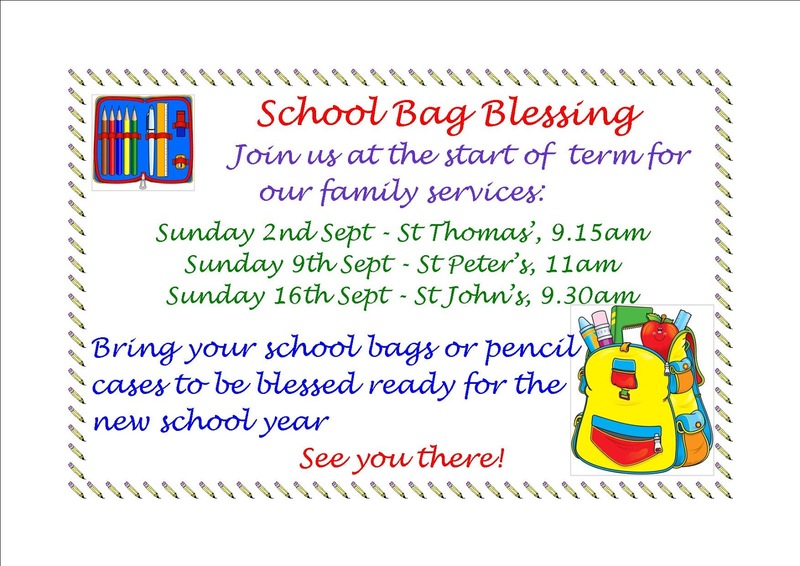 There are some really exciting things beginning in the Autumn across the parish! Some of those have already been added to the site. 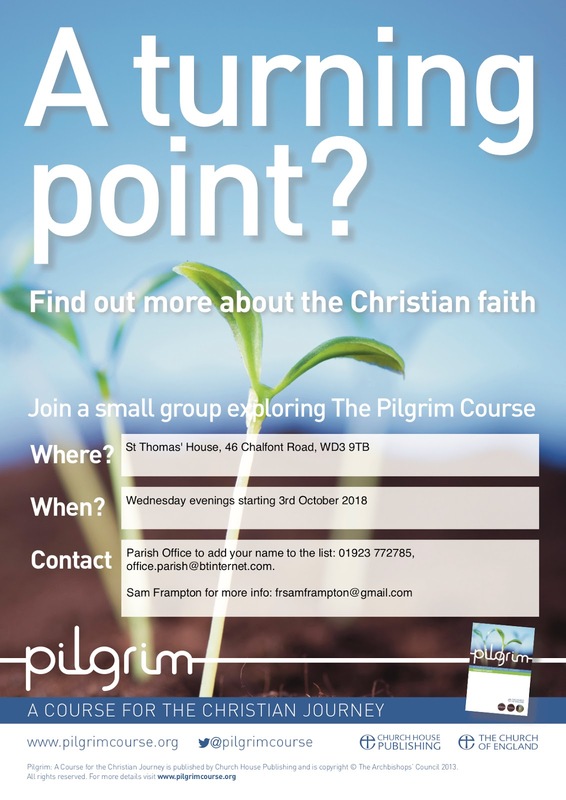 If you would like to know more about Christianity or seek to grow in faith the Pilgrim Course and The Big Think start in October - see the new tabs on the site for some more details. 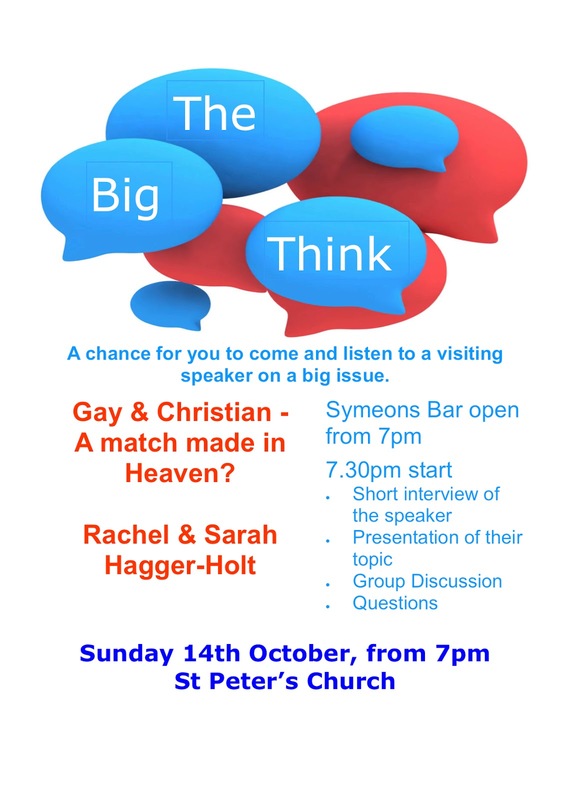 It would be great to see you! 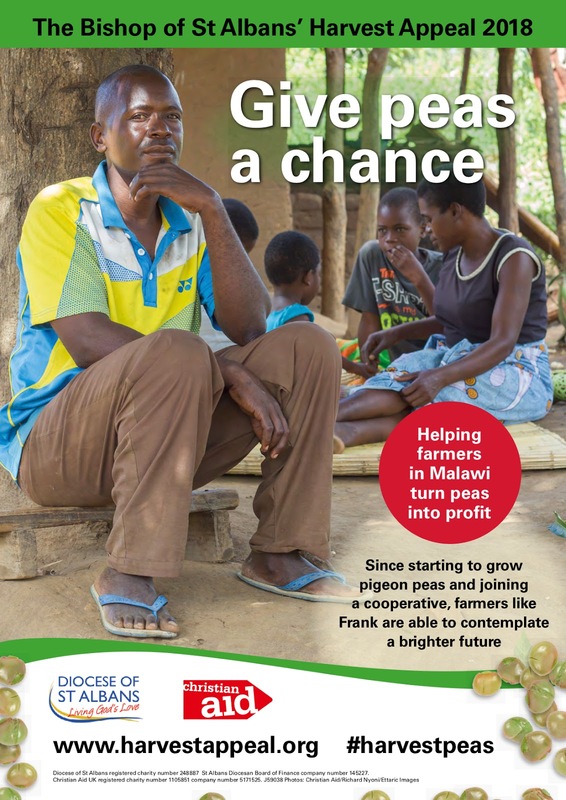 As we move into the Autumn, we will ready ourselves for Harvest - details of what we are doing and when can be found on the Harvest Thanksgiving tab, but we will be financially supporting the 'Give Peas A Chance' Appeal this year and there are more details there. 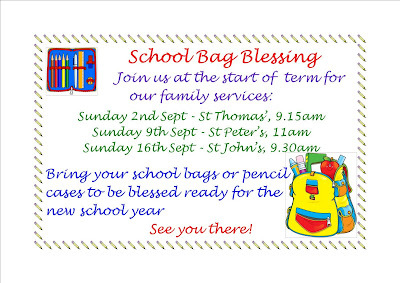 Before all of that, marking the start of the academic year we invite school children and their families to come to church with their school bags, pencil cases and indeed brief cases and have them blessed. There are three occasions when we will do this and in so doing, ask God to be with us as we work and study together. 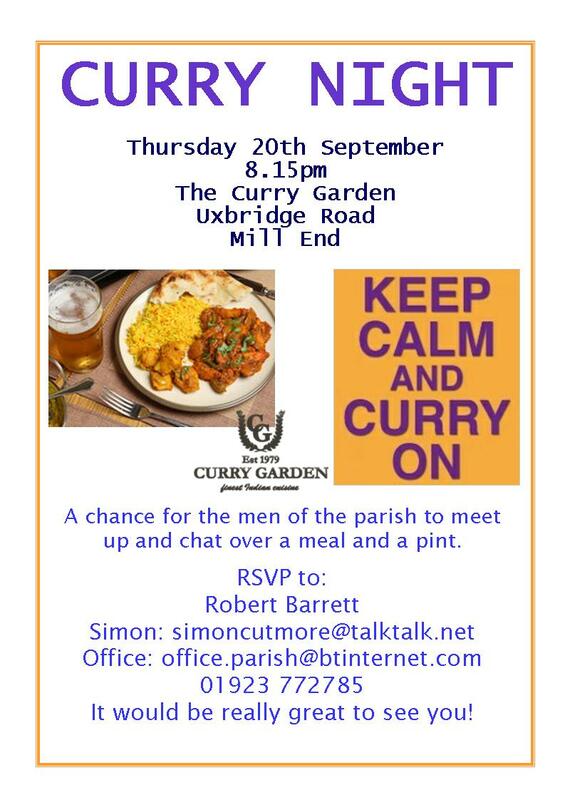 Usually once a quarter the gents of the parish get together for a curry and a beer. If you'd like to join us, please contact the parish office!